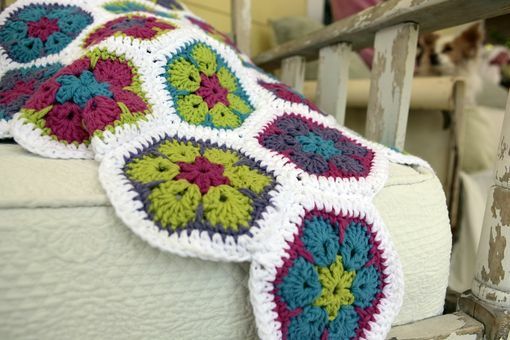 This is a hand crocheted African Flower Hand made with 100% cotton yarn in bright white, purple, pink, green and blue. 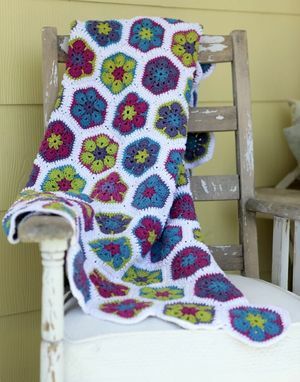 The blanket pictured measures 60" long and 42.5" at it's widest point and is made up of 119 individual hexagonal motifs, then sewn together. 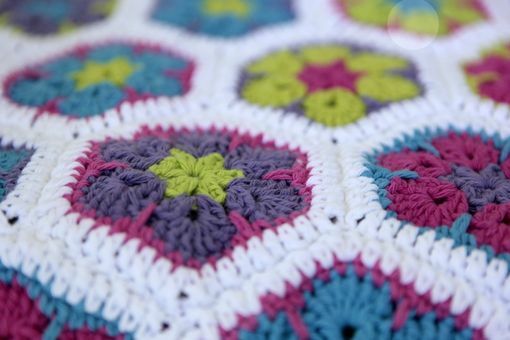 125 hours of total work was put into this blanket. 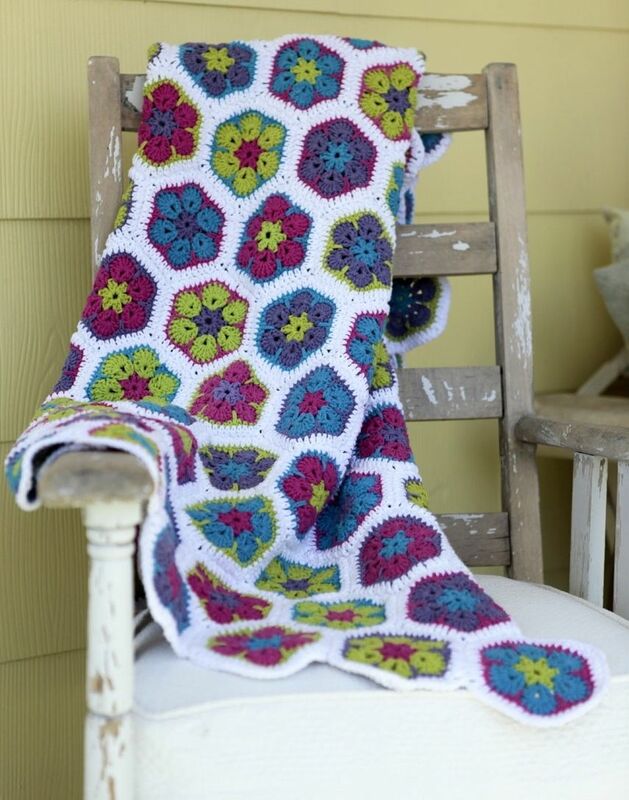 Pictured blanket is available for purchase for $275 or I am happy to make a similar blanket in a different size, colors or fibers.